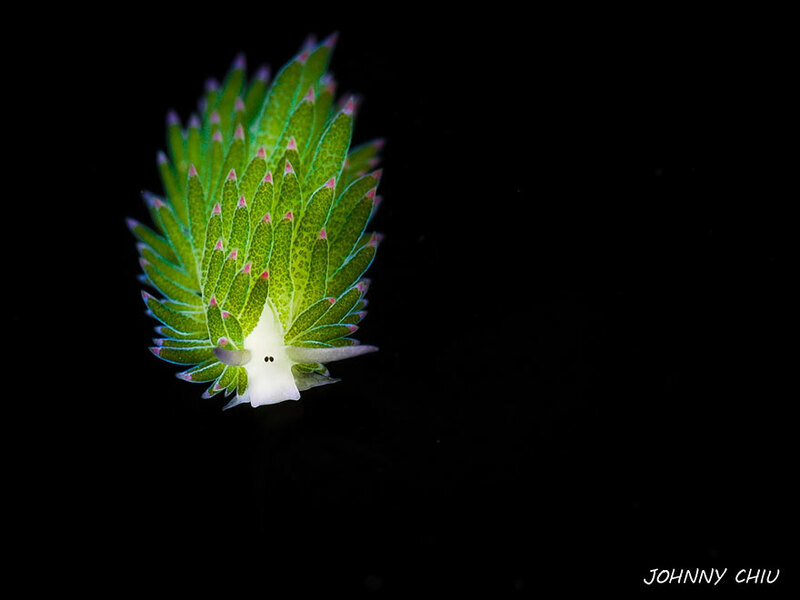 Today when I was browsing on 500px, I came across the Costasiella kuroshimae. 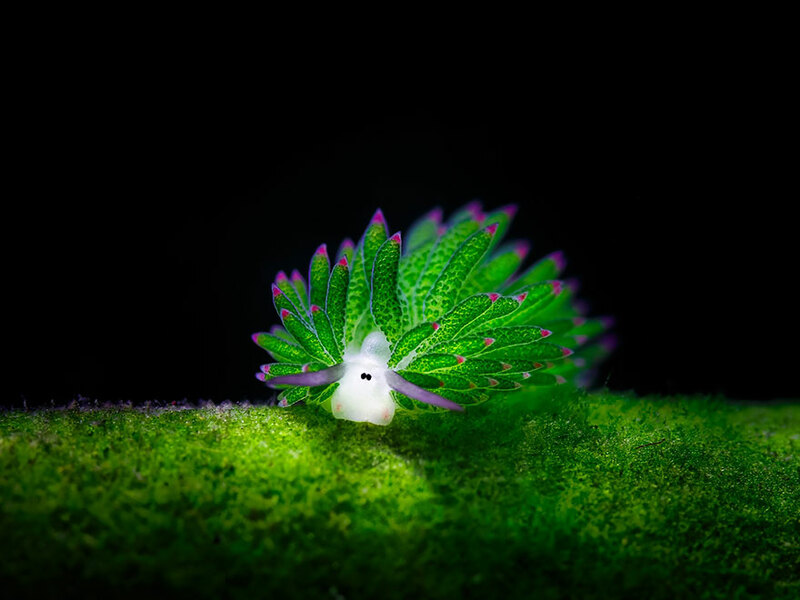 The sea slug does not only qualify as a nice motif, it is also a fascinating animal from a scientific point of view: in English it is also known as “Leaf-Sheep Nudibranch” and it is one of the very few animals capable of photosynthesis. The name is absolutely fitting not only in terms of what it looks like – it does bear a rather striking resemblance to cartoon-sheep – but also its diet. 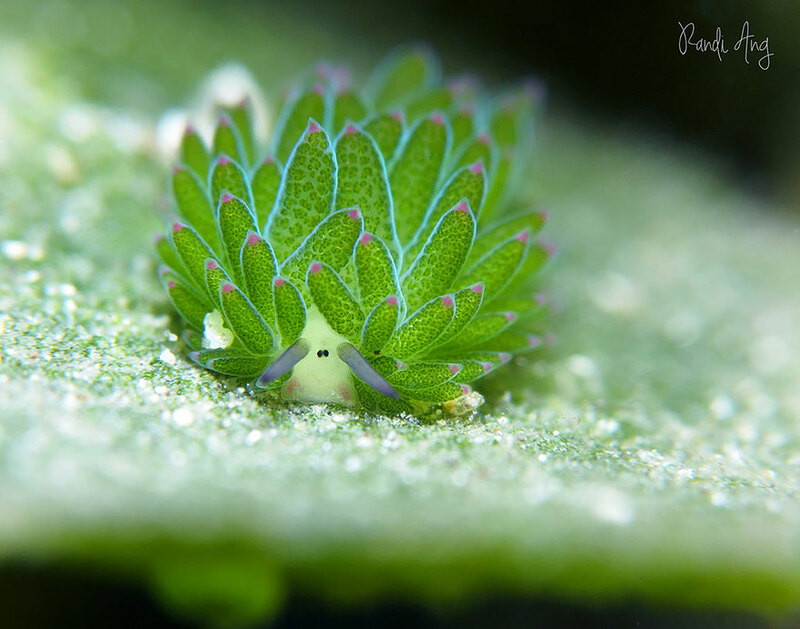 The slug lives off algae, but instead of digesting them completely, it absorbs the algae’s chloroplasts. This allows it to obtain part of its required sustenance through photosynthesis and sunlight. Being typically between 3mm and 7mm long, the Costasiella kuroshimae are too small to fill an entire picture at a reproduction scale of 1:1, even if the picture is taken with a macro-lens.